Happy New Year! I hope the new year is off to a great start for you! So far, so good, for me… I’m looking forward to a productive 2016 if my January is any indication. 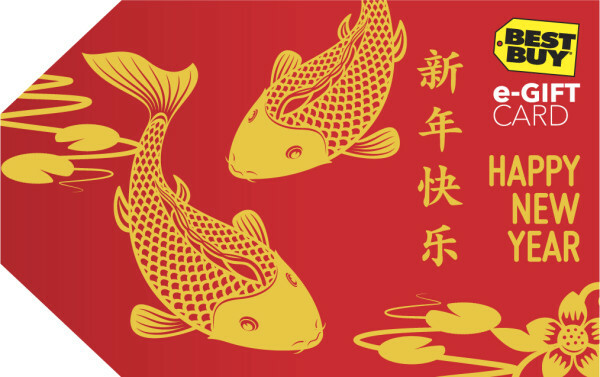 Although many of us have already celebrated New Years, Asians and Asian-Americans still have their new year celebration – Lunar New Year is on February 8th this year. “Lunar New Year is an important Asian festival celebrated at the turn of the lunisolar Chinese calendar. It is also known as the Spring Festival, the literal translation of the modern Chinese name. Celebrations traditionally run from the eve to the Lantern Festival on the 15th day of the first calendar month. The first day of the New Year falls on some day between 21 January and 20 February.” According to Wikepedia. Best Buy is helping celebrate the event with an Asian-inspired Giftcard and eGiftcard, available for purchase or gifting from BestBuy.com through February 13th, 2016. You can have gift cards shipped directly to your home address, just follow this link: http://www.bestbuy.com/site/promo/lunar-new-year-gift-card. For an eGiftcard, scroll to the right of the following link until you see the red giftcard with the two Koi fish, here, https://bestbuy.cashstar.com/gift-card/buy/?ref=gc1&ref=201&loc=55 (right under the “Holiday” tab). 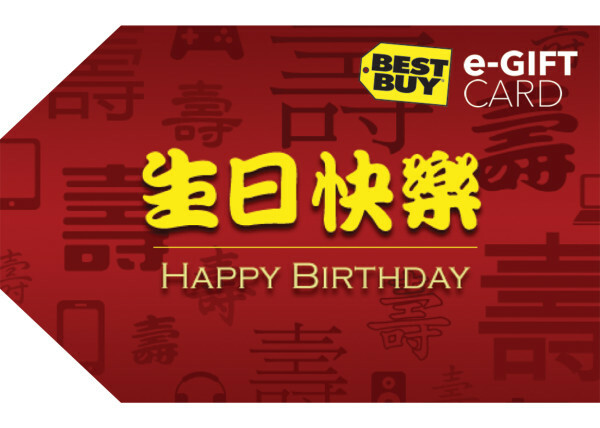 For the gift throughout the year, check out Best Buy’s Chinese Happy Birthday e-Gift Card at http://www.bestbuy.com/egiftcard. You can find it under the “Birthday” tab. Celebrate Lunar New Year this year by giving a gift card or egift card from Best Buy to those you care about. Then they can celebrate Lunar New Year by shopping for the perfect gift for themselves at Best Buy thanks to you.